18-year-old Zachary Cruz is the brother of Nikolas Cruz, the mass-murdering assclown responsible for the 17 deaths at Marjory Stoneman Douglas High School in Parkland, Florida. 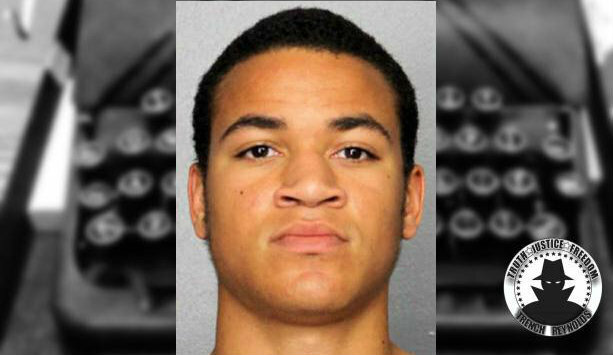 Apparently, Zachary Cruz was so into what his brother did he thought it would be a great idea to go visit the school, in his words, to “soak it in.” Cruz was booked into the Broward Sheriff’s Office jail back in mid-March, and his bond was initially set at $25. You’re reading that correctly, twenty-five dollars. Once in jail, Zachary Cruz allegedly bragged to the other prisoners about how many girls they could get thanks to his brother’s infamy. I’ll be addressing that particular issue soon. But getting back to the matter at hand, Zachary Cruz’s bond was raised to $500,000, a more appropriate amount if you ask me, but I digress. Zachary Cruz’s attorney claimed the bail was set unfairly due to who his brother is. Doesn’t seem unfair to me since he was hanging around the same school where his brother gunned down 17 people in cold blood just to ‘take it all in’. Zachary Cruz pleaded no contest to trespassing and only received six months probation, so sleep well, Broward County.